This eager beaver is Shari, HR Director at a hospital in Louisiana that I was working with and she has something to say – can you tell? She was present for a 2 day workshop I recently did where we discussed empowering leadership and dealing with difficult people and she was hard to ignore! When she had a question, a comment, a suggestion – her arm popped up so high, so fast and so straight you’d think I was offering chocolate treats as a bribe! I loved Shari’s enthusiasm and confidence. You could tell by her non-verbals she believed she had something important to say – a contribution to make that may aid in our discussion. Contrast this to many of us, who timidly raise our hand, stifle our question or minimize our requests. Mini-Me says things like – don’t interrupt, it’s probably not important, nobody wants to hear what you think, shhhhhh. What if we raised our hand? What if we believe in ourselves? What if we acted as if we were confident in our thoughts and words? I hope you know that I’m not just talking about being in a session, I’m talking about being in life! Showing up is one thing, being counted, being noticed, being heard – well that’s quite another! You matter, your thoughts, your feelings, your ideas, your point of view. YOU matter. 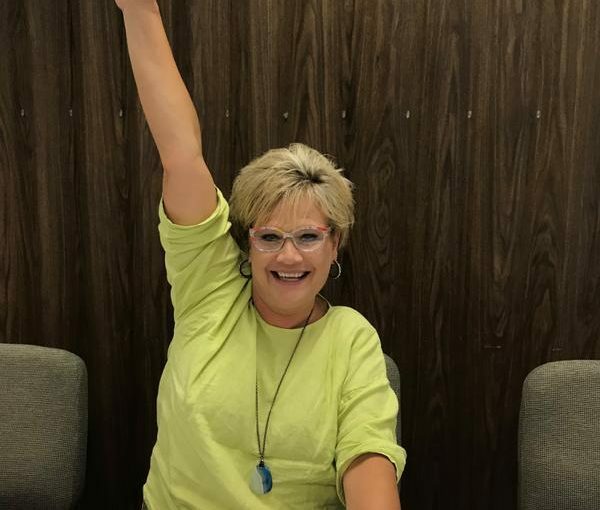 This ol’ world needs you, so take a tip from Shari – raise your hand (literally and figuratively) with full gusto and be counted! How will you be counted this week? Raising your hand, it’s just one more way to live Your Life, Unlimited! This entry was posted in Communication, Empowerment, Happiness, Newsletters, Positivity and tagged e-news, empowerment, great ideas, happiness, Motivation, Stephanie Staples, Your Life Unlimited. Bookmark the permalink.